From 1985. Actress Marcélia Cartaxo won the Silver Bear for Best Actress at the 36th Berlin International Film Festival, for her role as Macabéa. The film was also the Brazilian entry for the Best Foreign Language Film at the Oscars. 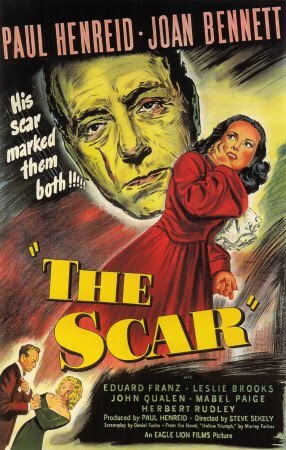 Steve Stekeley’s 1948 Noir The Scar (also known as Hollow Triumph ) is perhaps most notable because its leading man is Paul Henreid, who six years earlier had played the part of Victor Laszlo in Casablanca . Beyond that, The Scar is at first sight an eminently ephemeral movie, easily forgettable. But it’s interesting in so far as it problematizes the very process of memory and recognition. Henreid’s character in Casablanca is a Czech resistance hero who is strangely both the center of the plot and utterly marginal. For though the film ostensibly revolves around Laszlo’s efforts to flee the Nazis and seek asylum in America, what we remember is the tension and romance between Ingrid Bergman (playing Laszlo’s wife) and Humphrey Bogart as Rick Blaine, the bar-owner who has the letters of transit that would make Lazslo’s escape possible. Similarly, in The Scar , Henreid again plays a character who fades from view… the difference being that in this film Henreid also plays the character who replaces him. Moreover, this is a film about the replacement itself, and the effect that it has (or, oddly enough, doesn’t have) on the audience. 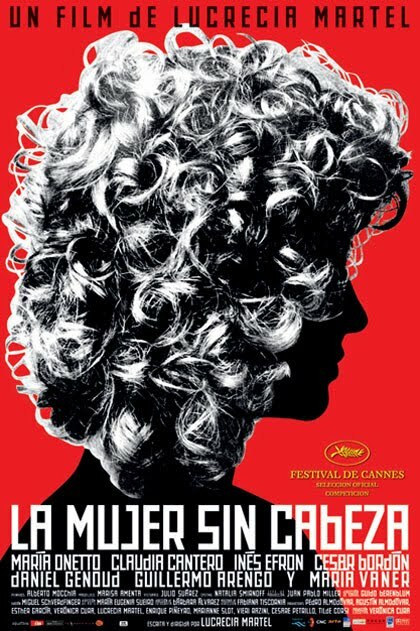 Argentine director Lucrecia Martel’s third film, La mujer sin cabeza , concerns a mysterious accident on a dusty road in the provinces. We have seen, in the opening scenes, a trio of local kids playing with their dog in the road near a dried-up drainage ditch or canal. We then shift to a social event, full of inconsequential gossip that we strain to understand and contextualize, from which the bleached-blonde Verónica then heads home. As she is on the road, her cellphone rings and it is while she is distracted, trying to find the phone and take the call, that with a jolt and a lurch she runs over something or someone. Shaken, she sits in the car while the radio discordantly plays an upbeat melody from the 1970s. A handprint on the car window reminds us both of the world she has just left (where we saw a young child leave the imprint on the glass) and also of the possibility that what she hit might well have been one of the kids we saw playing earlier. But, recomposing herself slightly, Verónica drives on and only some yards further down the track stops to get out and wonder what kind of mess she has left behind her on the road. The camera captures only a blurred image out of focus; it looks perhaps like the dog, but there’s no going back to investigate. For the rest of the film, then, we are caught up in the protagonist’s hazy sense of guilt and uncertainty about what might have happened. We have no direct access to Verónica’s consciousness–there are almost no point-of-view shots–but somehow her confusion is contagious as we are never quite sure about the social relationships around her. There’s a husband, a brother, a lover, friends, and an endless stream of hired helps who do everything from cooking to massage. But if in some ways Verónica’s class and social status (she’s a dentist) seems always to have kept her insulated from the poverty of the broader society that surrounds her, now that insulation has turned to isolation and anomie. Shortly after the accident, a rainstorm had set in and flooded the roadside canal at the scene. This is no cleansing shower, however; if anything, it merely muddies Verónica’s tracks and makes it all the more difficult for her to figure out subsequently what she could so easily have ascertained before the rain set in. After some pause, she confesses her sense of guilt to her husband. He and his friends reassure her that of course she must have hit some animal rather than the child who does indeed prove to be missing until his body is dredged up from the swollen canal. But for all their reassurances, it turns out that Verónica’s intimates have carefully done the rounds to ensure that any trace of the collision and its consequences soon disappear: they quietly repair the car’s front fender and wipe the record of Vero’s subsequent hospital visit. So Verónica is left with a sense of guilt, of doubt, but also ultimately of complicity. She dyes her hair as though she had something to hide, even if perhaps her true secret is that her doubts are in fact unfounded. She has acquired the habit of deception even if there’s nobody to deceive or nothing to deceive them about. Shame, in short, need have no final cause. In what is an allegory of attitudes towards the past and the legacy of Argentina’s dirty war, Martel seems to be suggesting that those who act as though they are guilty should indeed be treated as such. There is smoke without fire, and those who run even though they didn’t hit anything do so because they know that, carelessly insulated and distracted in their SUV, they might have killed a child, and that’s how they would react if they had. YouTube Link: the film’s trailer.